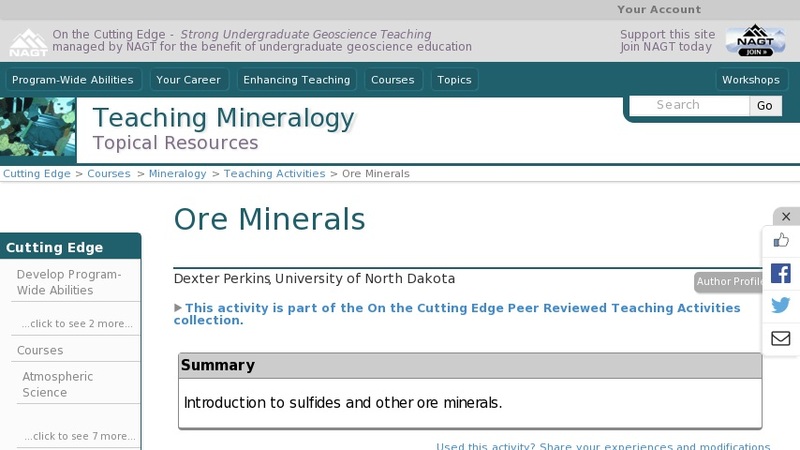 This three part lab introduces sulfides and other ore minerals. Part one - Ore Minerals: Students fill in a table giving the metal, formula, and mineral group of several ore minerals. Part two - Box of Rocks: Students examine trays of ore minerals and record their physical properties, composition, habit, occurence, economic value, and use and answer questions about color, luster, density, transparency, and availability. Part three - Famous Digs: Students answer a series of questions related to famous ore deposits.